Take the first step to getting started on your short sale. Download Forms Here. Find out what’s next. Make sure you cross every ‘T’ and dot every ‘I’. No Mistakes! It may not be too late to try other options. We can review what’s out there. Are You Still Dealing With SunTrust Mortgage By Yourself?! Click To Be Connected To A Pro Near You. ?Are You Still Dealing With SunTrust Mortgage By Yourself?!? Request For Mortgage Assistance Home Loan Forms. FREE Custom SunTrust Mortgage Strategy Session With A SunTrust Mortgage Experienced Team Member. Find out why no one knows more than we do. Even though the short sale is a common occurring process but still there are a very few experts in the market that know how to properly deal with the it. There should be as less surprises as possible. We have got a great team of professionals if you have not still been able to figure out where to turn to. Click here to request a call from a short sale pro or call 888-934-3444. Listing property is another important step to keep the process going on and you have to work with an agent to get your property listed so that property will get a fair review. It will not be possible for you to just bring up an offer to them. Some Documents such as the MLS Listing and MLS History may have to be submitted to prove that the property was properly listed. You can not take the process any further until you have completed this process and the first of the documents that you will need for the process to go forward will be the listing agreement. Pro Tip: Many lenders will require you to list for a minimum of 5 days and a weekend before accepting an offer. NOTE: There may come some situations where SunTrust Mortgage may prequalify you for the short sale. They may even tell you to how much to list the home as. Know that all of this is misleading because when you get an offer they will still need to do a full and standard short sale review. Making an offer on a SunTrust Mortgage Short Sale is more than just a number! A sale for which the offered amount is not enough to pay off all the debts which have been taken against the property. Unless you have got an offer it is impossible for the lender to review your application. The lender will also have to see that what is the net amount that you will make them once all the closing costs have been deducted from the offered amount. Past due taxes, non-recurring closing costs, attorney fees, settlement fees, title fees, and anything else that may apply are all included in it. If a potential buyer knows how to wait then it is the most important quality as a patient buyer. A potential buyer is better than both all cash buyer and the buyer whose offer is more than others. To make sure the offer is solid the broker will need to interview the candidates. Only the buyer is not important but the broker representing is also very important. It has been often been seen advertised by agents that their previous short sale with SunTrust Mortgage was approved successfully but this is to mislead. Even if all the terms were previously met and the short sale was approved still they will need to completely review once you have an offer. Pro Tip: Lenders can only review one offer at a time. The process can be hard and have a lot of hoops to jump through. Make sure you choose the one most likely to close. The highest offer is not always the best offer. Thoroughly review your documents. The wrong information can hurt you! Submiting Your Short Sale Package to SunTrust Mortgage To Get The Process Going. What is in the SunTrust Mortgage Short Sale Package? Usually, all the lenders have similar document requirement. SunTrust Mortgage also requires similar document. Following is the list of documents usually required: a listing agreement, a purchase agreement, proof of the buyer’s ability to perform such as proof of funds or a prequalification letter from the buyer’s lender. That’s only the beginning. As a short sale seller it will be a requirement from you to submit your financial information such as a monthly budget, your tax returns for the last two years along with a 4506t to show the returns were actually filed, pay stubs or proof of income like a profit and loss, bank statements, reason for requiring to do a short sale, and a hardship letter. Pro Tip: In most cases working with a skilled team such as ours should be able to pick out the items that will most likely be asked of by your lender. If your lender has to request items it’s likely they passed over your short sale when it could have been reviewed. Getting The Right Value Goes A Long Way. In order to figure out whether the person is eligible for the short sale or not the lender will complete a valuation. Usually a broker completes valuation by comparing the properties similar to the property in question which are either currently listed or have been sold within 3 to 6 months. Many conditions like home’s perceived condition, the size of the lot, the size of the living space, how many stories it has and whether or not it has a pool are considered by the agent. Market conditions and how fast homes are selling in the area are taken into consideration. There are many factors that are taken into consideration. An agent will give an opinion called a Broker’s Price Opinion (BPO) to the lender, The reason why the lender will need to obtain is because they are already taking a loss. In some cases the lender would want a deeper review so in that case the lender will obtain an appraisal. Appraisers have specific licenses for valuing properties. Some investors such as Fannie Mae (FNMA) complete two appraisals. The type of value completed varies from lender to lender and investor to investor. It is a common occurance that sometimes a value returns too high and it can happen to both rookies and experts. Sometimes the broker will compare those properties which have nothing in common because he/she is not from the area no matter how hard you try and meet regularly with the broker or appraiser. Pro Tip: Short Sale Variance is an opportunity to apply for a short sale servicer such as SunTrust Mortgage to vary from their typical practices. Often values are good from the day they are completed for 90 days; Sometimes longer. SunTrust Mortgage’s Short Sale Time Line Coming To An End. At that time the undersigned will have to decide whether to present your file to the lender or not. Usually an auditting process occurs before presenting the file to the management and then there is a another before issuing the approval letter. Unfortunately At that time SunTrust Mortgage management may counter or reject your short sale application. To compete with either of these situations a special set of skills are needed that can only come from experience. Easy tasks can be done by anyone but it is the difficult tasks that are hard and separate the professionals and rookies. Short sale closure is very much similar to the closure of traditional or typical escrow. The escrow process will start after all the debt holders have given their approval. A title search should now have been completed to assure that all the parties affiliated with the property have been addressed. 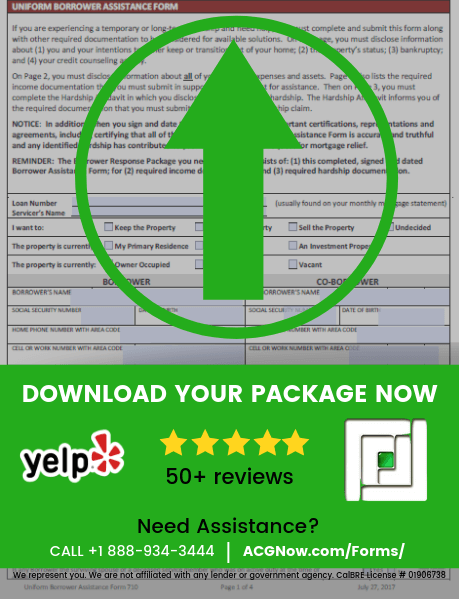 if the approval letter expires and we are not able to complete the short sale process? This is a question we get all the time and to be honest there isn’t a simple answer to it. It depends on delinquency of the mortgage, whether the value they had expired, and many other details. Consult one of our professionals if you need more time to see what we are able to get approved with SunTrust Mortgage’s Management. Results may vary greatly but the best part of our services is we only get paid if the transaction successfully closes (we are generally paid from the real estate commissions awarded to the agents involved and paid out of SunTrust Mortgage’s net). Pro Tip: Week one. Strike that. Within a few days of having all the approvals in line you should be able to tell whether or not this buyer is going to really perform. The right professionals apply pressure to all the parties involved to ensure the transaction gets done! We've Been Dealing With SunTrust Mortgage For Over A Decade! ?Don't Get Lost In SunTrust Mortgage's Website!? How Does ACG Get Paid? 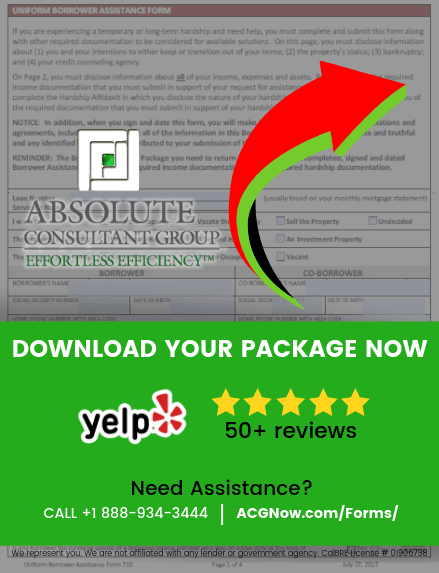 Absolute Consultant Group is a professional company that can work with the local broker to get your property sold quickly. SunTrust Mortgage will pay us directly from the escrow closing account. We get nothing if the transaction fails to close. Usually we get compensated from the amount that is awarded to the brokers involved in the deal. Usually the seller doesn’t has to spend a single penny for this service. Call for details 888-934-3444. You may have already noticed that it is a fairly difficult and long package. SunTrust Mortgage is no where planning to make the process easier so that the consumer feels easier but ACG is here to assist you with your application for the short sale process to get mortgage assistance from your servicer. We will become the only point of contact for all the challenges related to SunTrust Mortgage. if you work with us. ACG will act as a one stop shop for all your mortgage relief services. We will work with you from start to finish to complete your short sale process with SunTrust Mortgage. To answer what is SunTrust Mortgage Package? If you are applying for mortgage with SunTrust Mortgage, the first requirement that you will be required to fulfill is that you will have to submit a package called SunTrust Mortgage Request for Mortgage Assistance (RMA). You must make sure while applying is to always use the most updated paperwork; It will be better if you consult with a professional first. We have put up the latest paperwork that we found on the Absolute Consultant Group (ACG). ACG helps home owners with their SunTrust Mortgage Loan Modification and SunTrust Mortgage Short Sale process. There are 10 Sections to the standard SunTrust Mortgage Short Sale Package. Need Assistance With A SunTrust Mortgage? Need Assistance With An SunTrust Mortgage? Borrower’s Information This section will require the consumer to fill out all the personal details of the borrower. This section will also ask whether your property is listed for sale etc. Monthly Household Income. In this section you will be required to put the monthly income details of the whole household. Household Assets This section will require that you fill out all the details of all the assets currently owned by the household. Hardship Affidavit You have to explain the hardship faced by you in this section. Borrower/Co-Borrower Acknowledgement and Agreement This section requires your signature authorizing that everything you have stated is true etc. Form 4506-T The final document in the whole page is the 4506-t which is used in order to verify the tax returns that you provided. Make sure to follow the directions thoroughly. Household Expenses You will put all the details about the total income of the borrower /co-borrower and details of the monthly expenses. Authorization Form for Non-Borrower In this section You have to authorize SunTrust Mortgage to utilize income submitted and to obtain a copy of credit report to use in the Loss Mitigation application for assistance. Affidavit of “Arm’s Length Transaction” It means that the transaction has been negotiated by unrelated parties and that the sale price is based on fair market value of the property. Buyer and Seller are acting in his /her own self-interest. Those signing this affidavit as agents for Buyer, Seller or both are acting in the best interests of their respective principal. Third Party Authorization In this section Both Borrower and Co-Borrower authorize SunTrust Mortgage to release any and all information about Loan to the third party. SunTrust Mortgage Is Difficult. Don't Go It Alone. Professionals Standing By. We provide mortgage servicers mortgage assistance package, forms, and applications to for educational purposes only. This is a sample document used to obtain mortgage assistance relief workout programs with your mortgage servicer. Prior to completing the form contact your (your client's) Mortgage's servicing department OR one of our professionals at 888-934-3444 to make sure they are sending the right loan modification or short sale package. Your home loan servicer, whether dealing with a Home Loan Modification or Short Sale (mortgage settlement, short pay off or discounted payoff) RMA Package offered on this website may not be the correct package depending on your investor. By downloading this RMA (Request for Mortgage Assistance) from our website does not guarantee loan modification assistance or any other mortgage relief programs to try to avoid foreclosure through mortgage servicer, its agents, employees, affiliates or subsidiaries. Prior to the use of any documents you should consult an attorney.